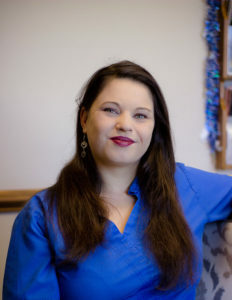 Ms. Liz Jarvis is the office manager for Tillmans Corner Chiropractic Clinic where she has been a trusted and valued employee for more than 5 years. Liz was assigned the front office responsibility of Office Manager when it became apparent she multi-tasks like the competent and accomplished administrator and valued chiropractic aide she has been since her first day at work. As the Clinic Manager, Liz has many varied and complex responsibilities to perform including Chiropractic health information management, patient records, documentation, colossus, HIPAA compliance, billing, coding and report writing, as well as Doctor credentialing. Human resource management is another complex component of Liz' duties and responsibilities where she oversees hiring, training, job descriptions, day-to-day staffing management, monitoring and supervision, dismissals, creating and enforcing office procedure, employee policies, and staff supervision. Additional duties and responsibilities include statistical reporting, reception desk duties, insurance billing, payment collections, and can include financial management comprised of accounts receivable, accounts payable, daily transaction reporting, check coding and reconciliation, as well as tax reporting and payments. Liz is also assigned marketing responsibilities often carrying out campaigns to promote clinic services and assistance with providing documentation and validation of website content for the clinic website at http://www.tillmanscornerchiro.com. When called on, Liz keeps her Chiropractic Assistant skills sharp by assisting Dr. Bishop with direct patient care.